Dr. Hilary Faust is a pulmonology specialist in San Francisco, California. She got her diploma from Perelman School of Medicine at the University of Pennsylvania and did two residency programs: one in internal medicine at University of Pennsylvania Health System and one in pulmonary disease and critical care medicine at UCSF Medical Center. At the same center, the doctor also did a fellowship in pulmonary disease and critical care medicine. Dr. Hilary Faust is certified in internal medicine and has an experience of more than 5 years. 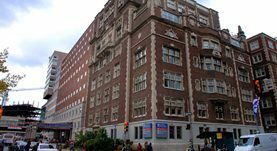 Dr. Faust is currently affiliated with Hospital of the University of Pennsylvania.